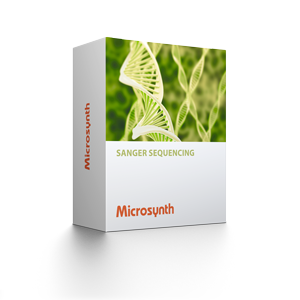 Best-in-Class Sanger sequencing service in 96-well plates for PCR products and plasmids. The Barcode High-Throughput Run includes plasmid isolation from E. coli or PCR purification. * This prepaid service (per plate pricing) is very popular due to its excellent price-performance ratio. 1 Complementary services can be chosen when placing a sequencing order at our online shop. You will receive an invoice covering the costs that are not included in the price for the prepaid barcode labels. 2 Condition: you send us high-copy plasmids. Only one antibiotic resistance can be used within the same plate. Remark: It is not possible to mix Barcode High-Throughput and Barcode High-Throughput Seq Only labels in one order. See also Microsynth's user guide on the right side for more detailed information. Overview of our Sanger plate sequencing services for German customers. Overview of our Sanger plate sequencing services for customers from other EU countries. User guide on how to use our Barcode High-Throughput Run.